STEINERT combination separators are used wherever space constrictions require the installation of compact machinery or where effective metal separation without multiple interfaces is needed. These machines ideally incorporate proven machine components as modules in compact machine dimensions. This completely eliminates the need for additional transition points, transport routes, conveyor belts, excessive space requirements and complex control technology. 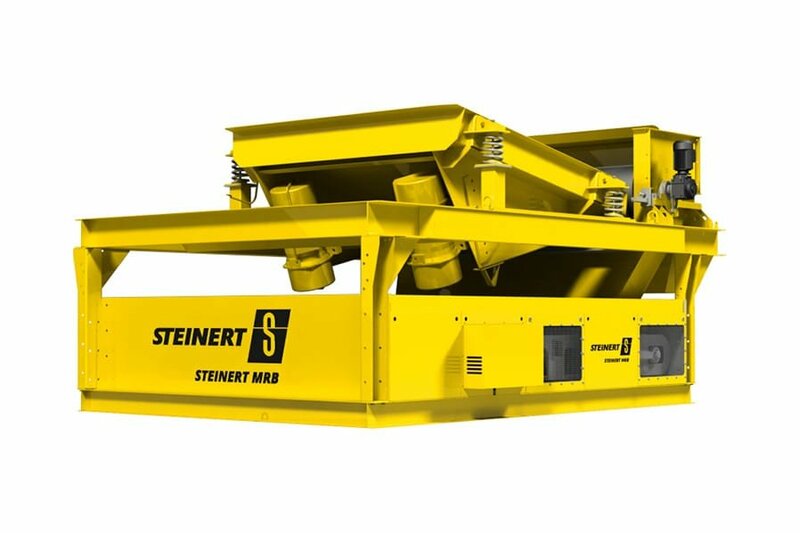 We currently supply the STEINERT FinesMaster as a stand-alone solution for removal of nail scrap, weakly magnetic impurities and fine non-ferrous metals, for example from residual automotive shredder material. Upstream, two-stage magnetic separation of non-ferrous metals optimises the removal of non-ferrous metals on the non-ferrous metal separator. The STEINERT MOH directly combines an eddy current separator with an upstream, permanently magnetic STEINERT MTP magnetic drum, whereby here too the material flow is optimised.